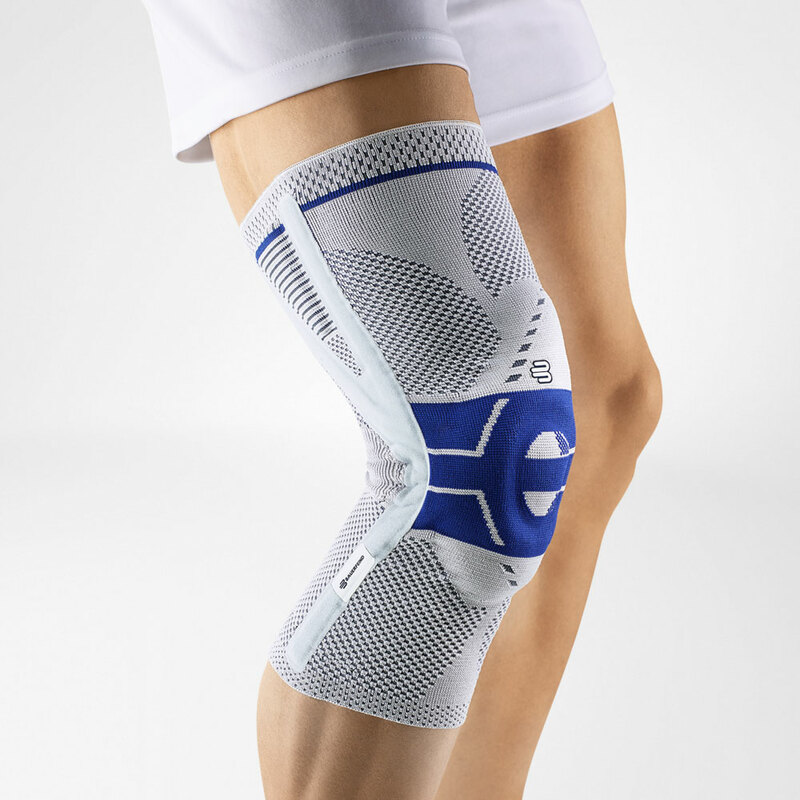 The kneecap is centered using a specially shaped massage pad with high sides and inward-facing silicone dots. The kneecap is centered using a specially shaped massage pad with high sides and inward-facing silicone dots for exerting pain-relieving compression. An adjustable corrective strap helps to protect the kneecap from drifting sideways and can be tightened to various degrees depending on the loading situation. A second wedge-shaped massage pad at the upper outside edge of the support slightly eases the pressure on the tendons connected to the kneecap, thus minimizing the outward pull. This provides relief for the kneecap and support during its natural movement. The support's compressive knit and two pads exert a pain-relieving massage effect during movement, which helps to reduce swelling more quickly and activates the muscles that stabilize the joint.